14k yellow gold diamond ring, 0.38ct of diamonds. 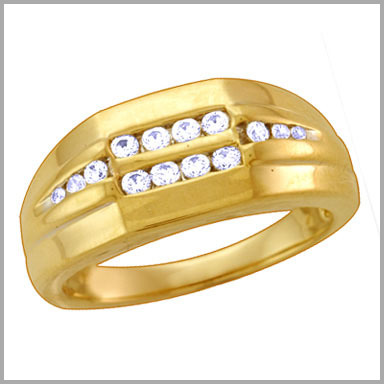 A beautiful band featuring sparkling stones. Crafted in 14k yellow gold. This mesmerizing piece features 14 round full cut diamonds in channel settings. The total diamond weight is approximately 0.38 ct with H in color and SI2 in clarity.